I’m looking forward to RCCC next Friday, but examining my inventory of The Comic Book Story of Beer comps, I’m afraid I may not have enough to get me through the weekend. It looks like I’m just shy of 20 copies and since the book won’t be officially released until Sept 22nd, I’ll have to go with what I’ve got. If you’re planning to be at RCCC and want to ensure that you’ll be able to pick up a copy while supplies last, drop me an email and we can work out the details. 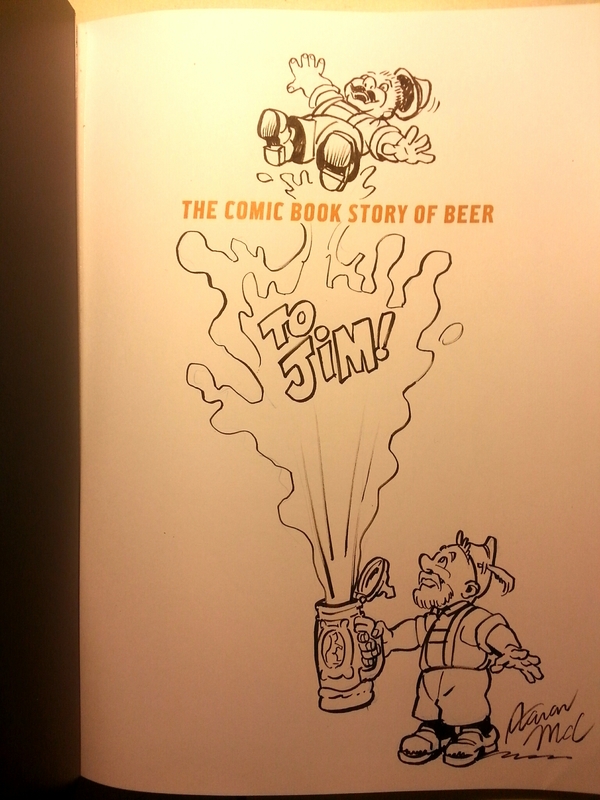 I’m also up for doing a sketch in the book beforehand if you order ahead of time. During the con I probably won’t do much beyond a signature and a quick doodle, but if you want something more like the examples below, please contact me this week. 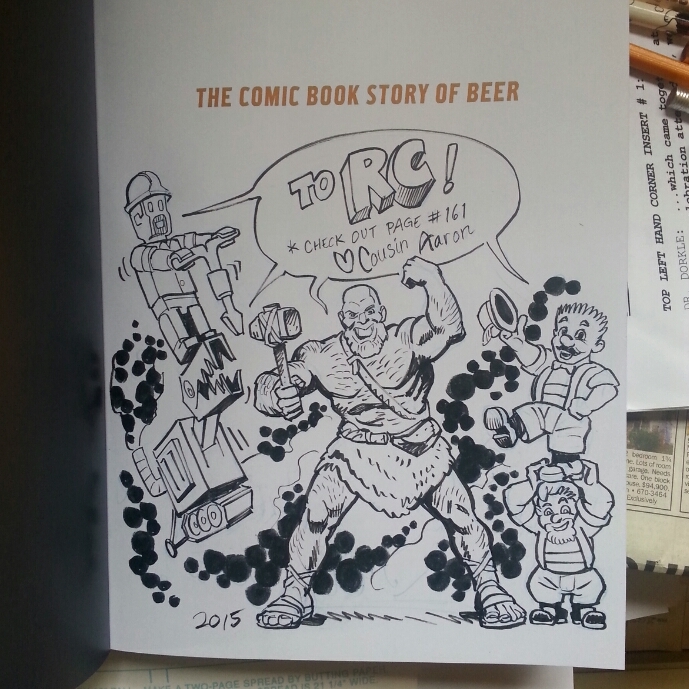 It’s an exciting time for The Comic Book Story of Beer. Reviews are starting to trickle in like this ARTICLE on suvudu.com! It’s great to hear that people are enjoying it! Cheers! Commemorating the March on Washington 50 years ago today, here’s a panel from The Gettysburg Address: A Graphic Adaption. Below is a round-up of some of the internet buzz that the book has created since its release. If you want to cut to the chase, these articles suggest that the book is worth your time. It is interesting to read the different parts of the narrative that resonate with each reviewer, though. If you only have time to read one of the following, I suggest the CBR article since it includes commentary from Jonathan Hennessey (and a little from me) about the process of creating the book and the ideas therein. …And at a more basic level, it’s just good comics, deftly constructed and maintaining an engaging balance between textual and visual information. 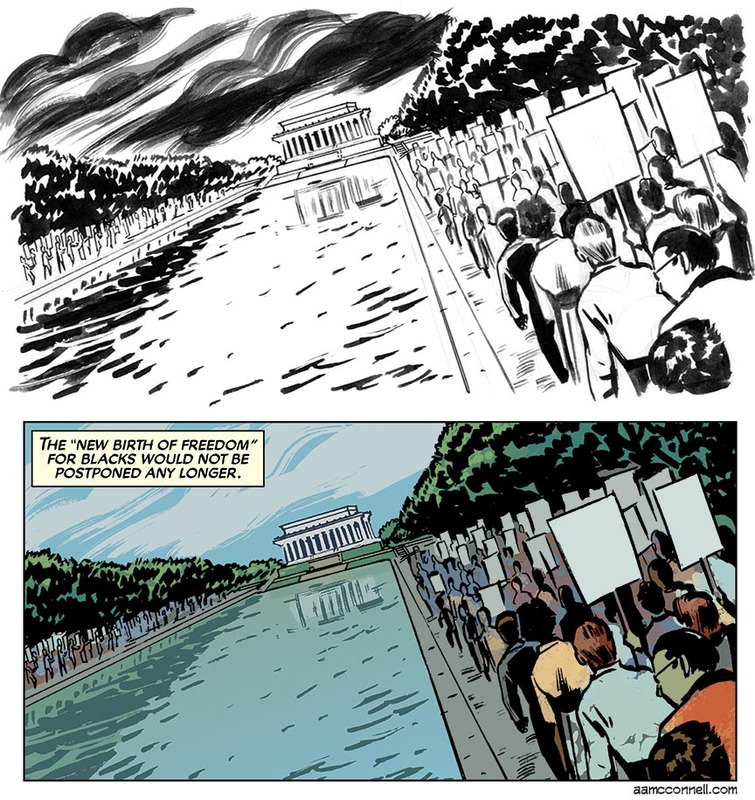 Quoted from an honest, thoughtfully considered review of The Gettysburg Address: A Graphic Adaptation at MultiversityComics.com. That quote is profoundly meaningful to me because it articulates my highest priority in illustrating non-fiction comics. To hear that it’s working as intended is absolutely satisfying.